-Planet Oregon features the best of several appellations across Oregon including the Rogue Valley. Made exclusively by Soter Vineyards, this certified sustainable wine is uninhibited by unfriendly pesticides & unnecessary processing, focusing on a conscious effort to minimize our carbon footprint. -A great representation of the epic 2012 vintage, Rex Hill Pinot Noir showcases depth& diversity using sustainably grown grapes sourced throughout the Willamette Valley AVA. Critical acclaim by Wine Spectator with a rating of Ninety-Two points. -Earl & Hilda Jones produced Oregon’s first Tempranillo in 1997, eighteen years later they continue to make award winning Tempranillo. 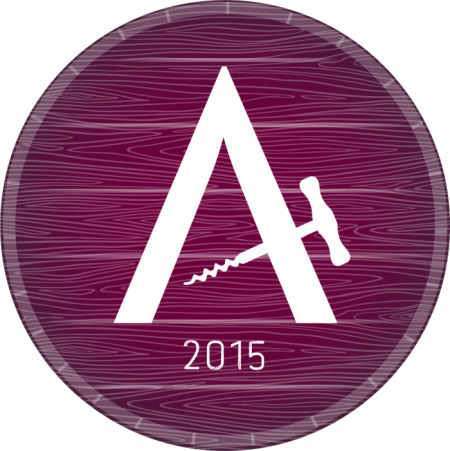 In 2001, Abacela’s 1998 vintage became America’s first internationally acclaimed Tempranillo. In 2015, Oregon Wine Press named Earl & Hilda with the lifetime achievement award as it celebrates people whose work has been pioneering spans not only a personal lifetime, but the lifetime of the Oregon wine industry. -Ledger David’s fruit is sourced from Varner-Traul Vineyard located in Talent, Oregon. The vineyard site is known as the Wagner Creek Sub-basin. This Blend of Sangiovese, Syrah, and Tempranillo features concentrated ripe fruit and soft round tannins. -Matanzas Sonoma County Merlot features fruit sourced from vineyards across Alexander Valley, Bennett Valley & Knights Valley. The diversity in vineyard sites is the cornerstone of rich complexity in the finished wine. The palate is sleek & savory, framed by balanced acidity & seamless tannins. -The family of Lady Hill owners Jerry and Elaine Owen has been blessed with a bounteous lineage of females—embodied today by Elaine Owen and her eight daughters. The Cabernet Sauvignon is carefully fashioned with a love for the region, respect for the heritage of the land, and a commitment to preserve it for future generations, Lady Hill wines express the authentic spirit of the True Northwest. -A self-taught winemaker, Charles Smith is a true artisan and a pioneer in the wine world. His earthy, spicy Syrah, is co-fermented with 3% Viognier for a lovely aromatic nose. Rated ninety points by the Wine Spectator and eighty-seven points by Robert Parker’s Wine Advocate. -This legendary Washington winery produces a light sparkling wine using European grape varietals made in traditional methode champenoise. Winemaker Rick Casquiero follows meticulous traditional French style practices resulting in a beautiful wine. Sourced from premier Certified Sustainable Vineyards in the Willamette Valley & made exclusively by Soter Vineyards. A dry rosé comprised of predominately 86% Pinot Noir, 7% Pinot Gris, 5% Chardonnay & 2% Gewürztraminer. The 2014 vintage will be compared to the enormously successful vintage of 2012 in a number of ways. The season was long, warm and even, allowing winegrowers to elect when to pick fruit. A lovely wine, with a mineral driven backbone was aged in 30% neutral French oak & 70% stainless steel barrels. -Grapes grow on south facing slopes located at Buxton Ranch between Upper Table Rock Plateau & the Rogue River. The river plays a significant role with soil type, which is comprised of alluvial silt & round river rock. -Harvested at the peak of ripeness in the early morning, the 2014 Pinot Gris grapes were cool when delivered to the winery where they were immediately whole cluster pressed. The wine was produced in 100% stainless steel tanks to preserve the freshness of the fruit aromatics and flavors. The wine then was aged on the lees for five months and stirred every two weeks to enhance the mouthfeel of the finished Pinot Gris. -Nestled in a pristine alpine valley in southwestern Oregon’s rugged Siskiyou Mountain range, Foris Vineyards has been a true viticulture pioneer for over thirty five years. Specializing in Alsace varietals & Pinot Noir. A delicate wine with floral aromas that leap from the glass while the palate is light and lively thanks to the touch of the tiny bubbles that balance out the juicy sweetness. -This blend is sourced from the O’Neil Vineyard in the Applegate Valley. The Viognier was oak barrel fermented and aged to develop a creamy palate, while the Marsanne and Roussanne aged in stainless steel barrels to help preserve their minerality and acidity. -Grapes are sourced from the Varner-Traul Vineyard that was established by David Traul and Lena Varner in 2006 in Talent, Oregon. The vineyard is in an area known as the Wagner Creek Sub-basin, part of the Rogue Valley Appellation.